Paradiso Bash Granite Stone, offered by us, is beautifully designed using advanced techniques at our well-equipped production unit. It is subjected to stringent quality tests so as to ensure that only the defect-free range reaches the customers’ end. We are reckoned among the reputed Manufacturers and Suppliers of Paradiso Bash Granite Stone. 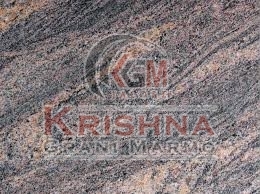 We supply Paradiso Bash Granite Stone only after the completion of testing procedures.